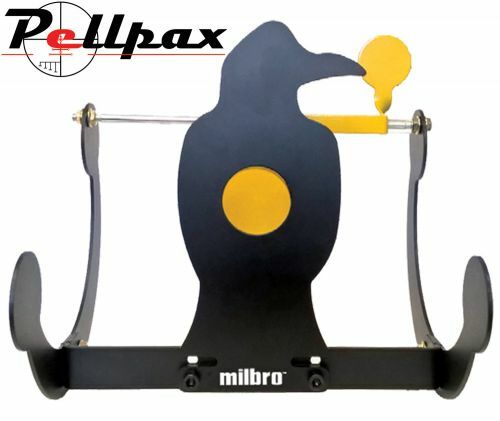 This Rocker target from Milbro is a new type of airgun target in that it resets itself after being shot and has no moving parts to break or wear like knockdown targets do. Simply shoot either the disc on the animal, or the top disc behind the cut out to knock it back, then it will return to its starting position within seconds. The target is made from thick steel which is powdercoated to protect it from the elements for years to come.